Not everyone can drive an electric car or a hybrid but that doesn’t mean that you can’t reduce the impact that your vehicle has on the environment. There are ways to cut back on the amount of fuel you use so you can support green living without driving an eco-friendly vehicle. Gasoline engines emit harmful gasses into the air that contributes to air pollution. These include carbon monoxide, nitrogen oxides, carbon dioxide and hydrocarbons. Exhaust fumes also contain formaldehyde, sulfur dioxide, benzene and soot. All of these pollutants are harmful to the environment and your health. They contribute to respiratory diseases and cancer and scientists have even linked it to the formation of acid rain and global warming. For most people, driving a vehicle is necessary but you can reduce the impact you have on the environment by paying attention to the way you drive. The way you drive will affect how much fuel you use on a daily basis. By reducing the amount of fuel you use, you’re helping to conserve fossil fuels and reduce the amount of harmful emissions released into the air. Avoid any unnecessary driving. For example, stop at the store on your way home from work and pick up whatever you need instead of coming home and then going back out. Never speed. The faster you drive, the more fuel you use so keep it at or below the speed limit especially when driving on the highway. Use cruise control when appropriate to keep your vehicle running at a steady pace. Lighter vehicles use less fuel, so clean out your vehicle and only carry what you need with you, especially during your daily travels. Take off slowly and increase speed gradually instead of punching the gas pedal. Driving aggressively will waste fuel and increase the harmful gases produced by your vehicle. Roll down the windows and let the cool breeze blow in when possible instead of using the air conditioner. Don’t overfill your gas tank or leave the gas cap loose because both will allow the fuel to evaporate and pollute the air. 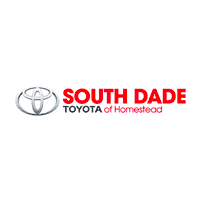 Choosing a new or used Toyota that gets good gas mileage will also make a difference and we have a wide selection of both here at South Dade Toyota. All of these tips will help reduce fuel consumption but the condition of your vehicle will also make a difference. Regular maintenance will help keep your vehicle in good shape so you can depend on it to get you where you need to go but that’s not all. When you take care of your vehicle properly, it will help reduce fuel consumption along with the harmful emissions released into the atmosphere. Keeping your vehicle tuned up by changing the spark plugs, wires and air filters. Making sure your tires are properly inflated. Changing your oil, transmission fluids and filters according to the recommendations in your owner’s manual and disposing of the fluids properly. Checking your emissions systems and keeping it in good working order. Your emissions system is what controls the amount of harmful emissions released into the air by keeping your engine running more efficiently and cleaner. It may not seem like much but every little thing you do to reduce fuel consumption and decrease the amount of harmful emissions your vehicle produces, will make a difference. These green driving tips will help reduce the impact your vehicle has on the environment.